Handheld devices provide critical access for Epicor ERP software users who need to complete operations while not by a desktop—whether that’s at a client meeting or on the shop floor. They can range from mobile phones to barcode scanners, but they all need to be able to function on your Epicor system. Handheld devices are often critical to the success of your production lines. Whether your business employs them for quality and compliance checks, or collecting data on manufacturing lines and machinery and fixing errors as they occur, they are vital. Because there is such a wide variety of devices and uses for them, there will be a multitude of different users who need to interact with your Epicor ERP software and in different ways and on a variety of different platforms. Epicor’s ERP provides options of their solution that work directly with the handheld devices necessary on your shop floor. The ERP platform can blend the device, application and connectivity required for a handheld system. It also allows for customizations of dashboards and interfaces depending on the device and who is using it! You’ll be able to ensure a streamlined and intuitive user experience, no matter how an employee will interact with Epicor. 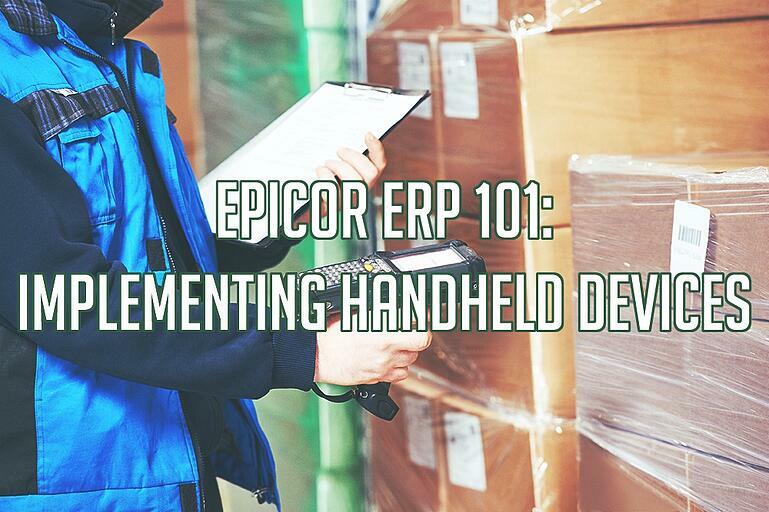 Here’s how to manage the implementation of Epicor handheld devices and things to consider before you do so. Not all types of handheld devices will be suitable for an Epicor implementation—even if they’re all currently running on the same operating system (OS). Each different type of device will need to be qualified by your ERP platform vendor to make sure they can run the software. You’ll also need to be able to build various forms of the enterprise application so that they can be compliant on your devices i.e. a smartphone application which allows for tasks like data and task recording or travel, expense and client details. You might also need a PDA application that will handle more complex functionalities like workbooks, task listing, schedule editing and more. The key here is doing a thorough review of your business processes and needed devices before ever undergoing a software implementation. That way, you’ll understand how employees currently carry out their day-to-day tasks and the kind of devices and software they’ll need to do the same on new ERP. Epicor-supported PDAs can not only include built-in barcode readers, but also functionality for web browsing, email and messaging so you can manage inventory and keep up communication within the organization no matter where your business is. If your Epicor solution will involve handheld devices in any capacity, then their implementation needs to be a specific, delineated step on your implementation journey, and scheduled as such. Each different device needs to be qualified by your platform vendor—make sure that is a step on your roadmap and included on any budgets and timelines you prepare for the C-Suite. For example, you’ll need to commit every resource you plan to use on desktop training to your Epicor handheld devices, including use cases, conference room pilots, end user testing and training. Everyone who will be using an Epicor handheld device should be confident and have demonstrated in pilot testing and training they will be ready to use them when go-live comes. You don’t want to get to a crucial inventory check and find out that one user has been scanning the wrong codes or entering their information into the wrong database. One small misuse of your business’ Epicor handhelds could throw off the entirety of your operations and waste serious time and money. 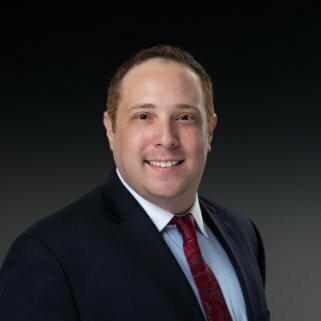 However, once you have selected the right devices and gone through all the necessary steps to get your staff up to speed on them, you’ll soon be enjoying the benefits of total mobility they provide—better accuracy and completeness of data, faster workflows and easier reporting on quality testing and product compliance among them. If you’re about to go through an implementation and you need help getting your Epicor handheld devices up and running, get in touch with one of our expert consultants. We've got 20 years of experience with Epicor ERP software and manufacturing operations, and can help you at any stage of a software implementation, whether it’s device selection or training!